Six St Helens players have been named in a 30-man England performance squad revealed today. Jonny Lomax, Tommy Makinson, Mark Percival, James Roby, Luke Thompson and Alex Walmsley are included in the squad, which is drawn only from Super League. Elsewhere, Warrington team-mates Josh Charnley and Jack Hughes are two of the eye-catching inclusions. 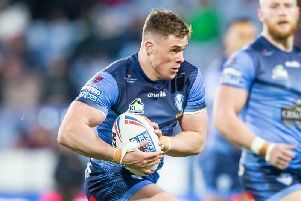 "Jack Hughes is one of a few players who have come up into the EPS from the Knights squads that were picked last year, which is good to see," said coach Wayne Bennett, who will also take charge of the reformed Great Britain team.